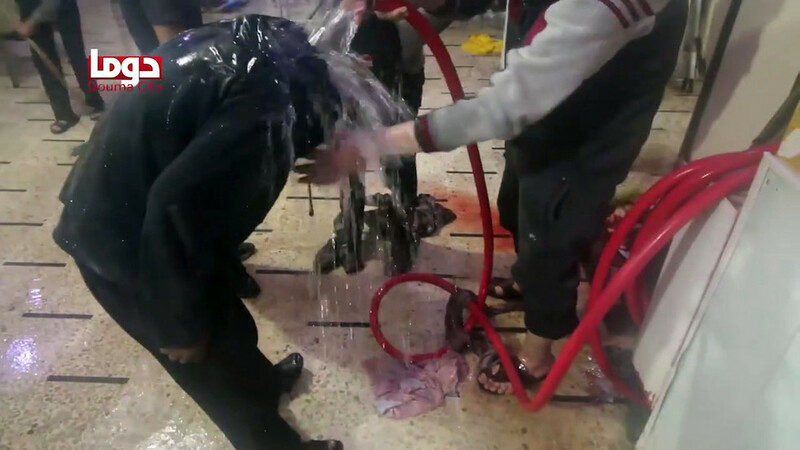 A ‘victim’ of the alleged ‘chemical attack’ gets ‘treatment’ in Douma hospital. This article originally appeared on Transcend Media Service (TMS) on 18 Feb 2019. Anticopyright: Editorials and articles originated on TMS may be freely reprinted, disseminated, translated and used as background material, provided an acknowledgement and link to the source, TMS: Real ‘Obscene Masquerade’: How BBC Depicted Staged Hospital Scenes as Proof of Douma Chemical Attack in Syria, is included. Thank you.